A useful heavy-duty power tool, a circular saw is ideal for completing larger projects. Whether you’re making furniture or trimming floor boards, this power tool is suitable for both domestic DIY and trade purposes. 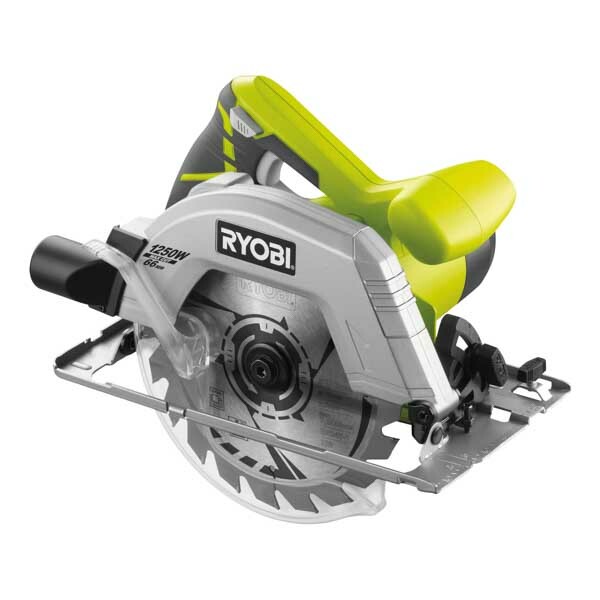 Browse our selection of Ryobi circular saws to find your new saw, today. When it comes to finding the right saw, you want a machine that will provide accurate, precision cuts at speed. Our range of Ryobi cordless circular saws do just that, while also being free from cords for portability and ease of use. Our powerful Ryobi ONE circular saw options use a thin blade, to ensure exact cuts. Able to deliver a maximum cutting depth of 45mm at 90 degrees, and 32mm at 45 degrees, they also have an in-built laser, helping to provide accuracy. Whether you choose the Ryobi ONE+ 18V 150mm Cordless Circular Saw, or the Ryobi 1250W Circular Saw, they offer compact and lightweight designs. This makes them easy to operate and comfortable to use.In addition to a range of features, our Ryobi circular saws come with a three-year warranty. This guarantee is free of charge, so you can buy the best tools from SGS with confidence. At SGS Engineering, when you order your new Ryobi cordless circular saw before 4pm, you could secure free next-day delivery. So, look through our range and buy yours today, and you could be making faster, precision cuts in no time.